From few days, we were receiving the best traffic peak of our whole month. First we thought. It is due to the back to back Panda and EMD algorithm updates, which is quite logical. However, the strange thing is that after our Authorship got removed our visitors started multiple more rapidly like a sports car which made us more curious. Following screenshot shows that how much traffic has increased during the absence of Google authorship. 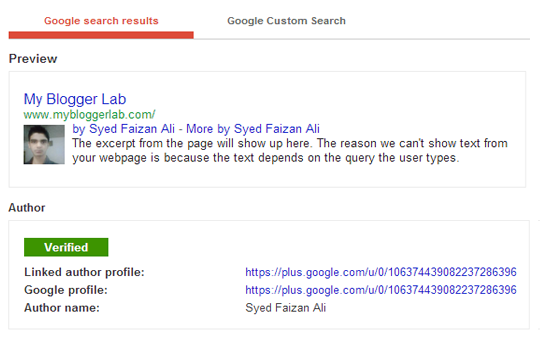 Then, we tried to utilize Google’s Structured Data Testing Tool (Rich Snippet Tool) to detect whether there is any problem with the website or it’s a bug, and fortunately each and every URL was picture perfect it was showing the associated Author Image along with Linked publisher Profiles. Following screenshot shows that there is no error in Rich Snippet Tool, but still they are not showing verified authorship in Google search engine. Another weird thing we noticed was that the Authorship was not entirely removed from every single page. For Example, our “About us” Page still triggers the Verified authorship so this is the confirmation that technically everything clean. Still it appears to be a mystery that why Google is doing all these kinds of experiments on well-established blogs. 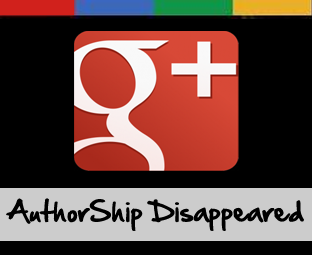 We have checked many blogs out of which 80 percent don’t have Authorship any more. Since, Google is updating its Author tool so that could be the reason why lots of blog have lost their verified authorships. While on the other hand, the introduction of different kinds of attribution i.e. Rel=”Author”, Rel=”Publisher” and Rel=”me” could be the biggest reason behind the removal of verified author rank from Google search engine. This doesn’t mean that your site is also having the save problem. However, for your satisfaction check whether you still are a Google Verified publisher. Simply search different pages of your website in search engine to check whether the publisher Image Thumbnail is appearing beside your website. Moreover, you can also utilize the Rich Snippet tool to make sure that technically everything is sound and working perfectly. Still we are neither confirming nor declining that there is nothing fishy going around in Google department. They published two foremost algorithm updates in a week, and now suddenly Authorship gets disappeared from the search engine. Coming day’s will surely going to tell what was the real issue behind it. We will keep you updated through the latest updates about it till then peace, blessings and happy Googling. the homepage will not open if you are signed in Chrome and searching your site. yes syed you are right my homepage is safe it showing but on post pages google says by "sunil bishnoi" it only showing name on post pages. I have already commented that whats the problem with google?i have registered for authorship since last week and not got my authorship but i am getting perfect it in snippet tool.i was thinking that its crawl error but you are right.its google problem. Syed sir,one question is striking in my mind since google has closed adsense for feed.What are the chances that they will also close adsense for bloggers content and only top site and premier user will be allowed for adsense? But after Google removing the authorship some blogs traffic is getting high like my site. Thanks for the informative post. Even you should disappear with a fake blog like yours !! Firstly, This is not MY blog it is owned by 9000+ Bloggers who are its loyal readers and Followers. We do Respect your Views but not for this time because we admire our self. You can be negative but you cannot expect the other one to do same. We aren't going to remove your comment because we feel everyone should have their point of view.